A fractured fairy tale is an adaptation of a fairy tale, in which the author changes the characters, setting, theme, and/or other elements of the story. Examples of fractured fairy tales include Interstellar Cinderella by Deborah Underwood, The Three Ninja Pigs by Corey Rosen Schwartz, and Little Red Cuttlefish by me. But before an author can adapt a fairy tale, it is worth understanding the definition of fairy tales. Writing picture books is fraught with philosophical questions. Are fairies synonymous with Fae? 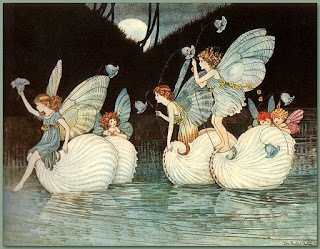 Do fairy characters in a story make it a fairy tale? Must a fairy tale feature fairies? Wikipedia artfully states, “The characters and motifs of fairy tales are simple and archetypal: princesses and goose-girls; youngest sons and gallant princes; ogres, giants, dragons, and trolls; wicked stepmothers and false heroes; fairy godmothers and other magical helpers, often talking horses, or foxes, or birds; glass mountains; and prohibitions and breaking of prohibitions.” The fairy tale is such a ubiquitous literary form, that it even has more than one classification system*. Thomas Keightley indicated that the word 'fairy' derived from the Old French faerie, denoting enchantment. Fae is not related to the Germanic fey, or fated to die. Some authors don't distinguish between Fae and fairies. 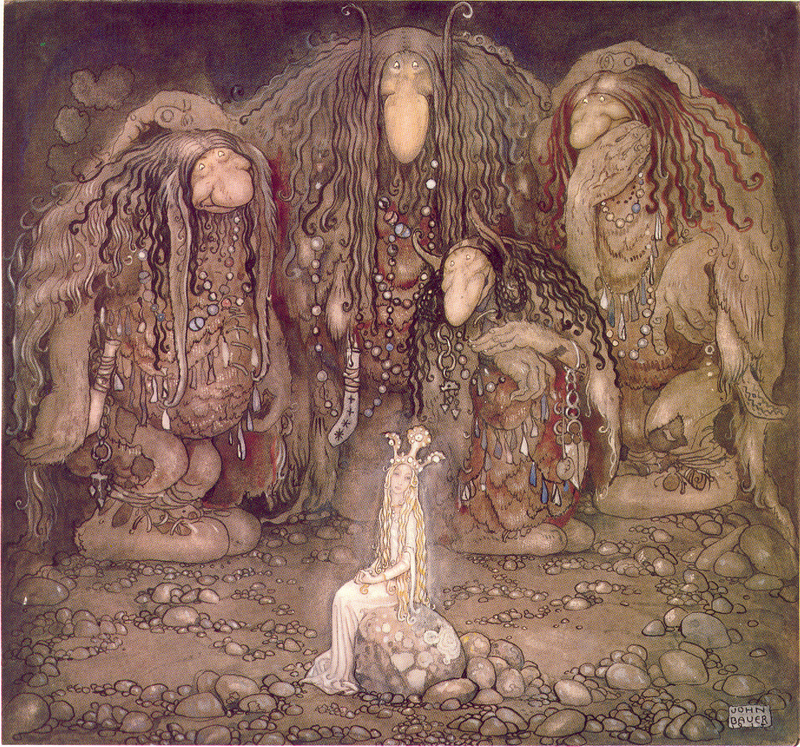 Other authors define Fae as any inhabitants of Faërie, be they large or small, good or evil. For them, Fae is the broader term encompassing not only fairies, but elves, dwarves, ogres, imps, and all other fantasy creatures. They consider fairies to be Fae who are diminutive and often ethereal, magic-wielding, and/or winged. Fairies of either flavor have been flitting about literature for centuries. Consider Morgan le Fay in Le Morte d'Arthur, Edmund Spenser's The Faerie Queene, Oberon and Titania in Shakespeare's A Midsummer Night's Dream, Tinker Bell in J.M. Barrie's Peter Pan, Holly Short in Eoin Colfer's Artemis Fowl, all the way up to Bloom in Doreen Cronin's eponymously titled picture book and Mabel and the Queen of Dreams (inspired by the fairy Queen Mab in Shakespeare's Romeo and Juliet). C.S. Lewis, J.R.R. Tolkien, and others established fantasy as the subgenre of speculative fiction that employs magical elements set in an alternative world. 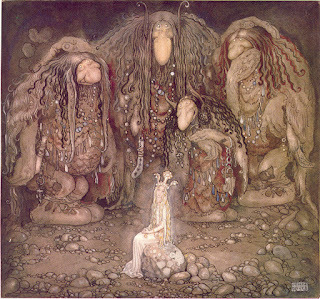 Tolkien wrote in his essay “On Fairy-Stories” that fairy tales are distinct from traveller's tales (e.g., Gulliver's Travels), science fiction, beast tales (e.g., Aesop's Fables), and dream stories (e.g., Alice in Wonderland). He felt that fairies themselves were not an integral part of the definition of fairy tales. Rather, fairy tales were stories about the adventures of men and fantastic creatures in Faërie, a marvel-filled magical otherworld. By that definition, The Lord of the Rings is a fairy tale. Urban fantasy** is a subgenre of fantasy set in an urban setting, typically in contemporary times. This setting violates Tolkien's definition of a fairy tale, since the story takes place in the “real” world, rather than in Faërie. 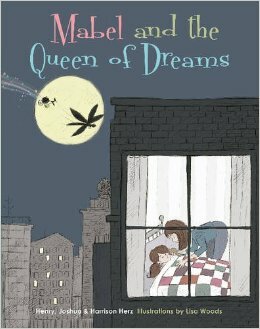 Thus, Mabel and the Queen of Dreams, though featuring a fairy, is an urban fantasy rather than a fairy tale, or as Tolkien preferred, Märchen (wonder tale). *Two major fairy tale classification systems are Aarne-Thompson and Vladimir Propp's Morphology of the Folk Tale. **Some notable urban fantasy includes the Kate Daniels series by Ilona Andrews, Modern Faerie Tales series by Holly Black, Dresden Files series by Jim Butcher, Weather Warden series by Rachel Caine, Mortal Instruments series by Cassandra Clare, Neverwhere by Neil Gaiman, The Southern Vampire Mysteries series by Charlaine Harris, The Hollows series by Kim Harrison, The Iron Druid Chronicles by Kevin Hearne, Feral series by Cynthia Leitich Smith, The Wicked Lovely series by Melissa Marr, October Daye series by Seanan McGuire, Marla Mason series by Tim Pratt, Simon Canderous series by Anton Stout, and Borderlands series by Terri Windling. Henry Herz writes fantasy and science fiction for children. He is represented by Deborah Warren of East/West Literary Agency. He and his sons wrote MONSTER GOOSE NURSERY RHYMES (Pelican, 2015), WHEN YOU GIVE AN IMP A PENNY (Pelican, 2016), MABEL AND THE QUEEN OF DREAMS (Schiffer, 2016), LITTLE RED CUTTLEFISH (Pelican, 2016), and CAP'N REX & HIS CLEVER CREW (Sterling, 2017). Henry and his sons have also indie-published four children's books. NIMPENTOAD reached #1 in Kindle Best Sellers large print sci-fi & fantasy, and was featured in Young Entrepreneur, Wired GeekDad, and CNN. BEYOND THE PALE featured short stories by award-winning and New York Times bestselling authors Saladin Ahmed, Peter S. Beagle, Heather Brewer, Jim Butcher, Rachel Caine, Kami Garcia, Nancy Holder, Gillian Philip & Jane Yolen, and reached #2 in Amazon Science Fiction & Fantasy > Fantasy > Anthologies. 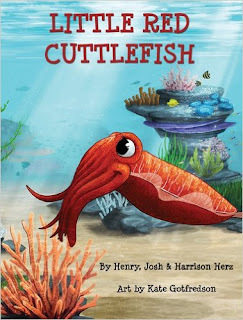 Henry is a member of the Society of Children's Book Writers & Illustrators (SCBWI) and the Science Fiction & Fantasy Writers of America (SFWA). Henry participates in literature panels at a variety of conventions, including San Diego Comic-Con and WonderCon. Henry created KidLit Creature Week, an annual online gallery of monsters, creatures, and other imaginary beasts from children's books. 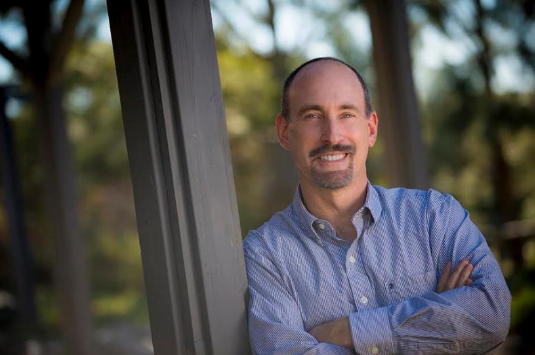 He reviews children's books for the San Francisco Book Review and the San Diego Book Review. Discover more at www.henryherz.com.